A foreclosure is a legal action that permits a lender to acquire ownership and title from a delinquent borrower. There are two types of foreclosure systems that follow the two types of secured real estate loans. There is a judicial foreclosure system in Mortgage States. There is a non-judicial foreclosure system in Trust Deed States. Some states allow both Judicial and Non-Judicial foreclosures depending on the loan documents. The length of time from commencement of the legal action to the legal sale of the property varies greatly from State to State. See below. This is broken down into the time it takes to process the documents through the legal system and the number of days notice one must give of the sale by publication. A redemption period enables a borrower to pay off the loan and re-claim the property for a period AFTER the foreclosure sale. In some cases an owner of an underlying junior lien or mortgage also has this right. These times also vary greatly from state to state. From zero to about a year! This delay greatly affects your ability as an borrower to stay in your home or seek new financing! We are not attorneys are cannot give you legal advice. We believe this information to be accurate, but please check with a qualified real estate attorney in the state in question before making any decision based on this information. Our intent is to give you an overview and make you aware that laws differ, sometimes dramatically, from state to state. You should of course be aware of the foreclosure laws in your own state and that of any other state that you plan to borrow in. The states strike differing balances between protecting the homeowner from losing their home quickly, perhaps because of a temporary financial crisis on the one hand, and, on the other hand, the legitimate rights of the lender to try to recover the money they have lent in good faith expecting to be paid back! How long should a borrower be permitted to live in a house without paying a dime in mortgage payments? I guess that depends if you are the borrower or the lender! Non-judicial sales are almost always quicker than judicial sales. Lenders will usually make sure their documents provide for this if possible in that state. Some states are much more lender-friendly than others. It would be interesting to know if interest rates are lower in those states than in those like New York that drag out foreclosures for so long, costing the lender money and lost income. If interest rates ARE higher in slow foreclosure states this would mean that GOOD payers are paying a higher interest rate to prevent BAD payers from losing their property. 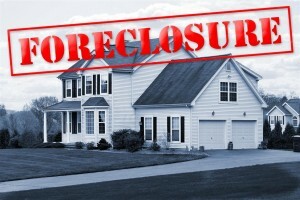 Why do people lose their homes in foreclosure? You can reduce the risk of being affected by the above as the lender by never lending too much and never lending unless the borrower has a cash investment in their property. For up-to-date information on your state, visit foreclosurelaw.org.